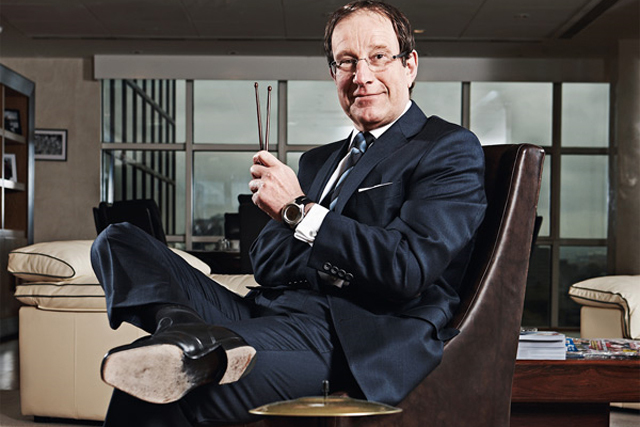 Richard Desmond's Northern & Shell media empire is set to report 2011 post-tax profits of £40.2m, down 23.4% from 2010, after revenues surged to £688.8m. Financial results to be published by Companies House later this week are expected to show the acquisition of Channel 5 television from RTL in July 2010 for £99.1m has helped transform Northern & Shell's fortunes. The company generated turnover of £688.8m in the year to 31 December 2011, up 31% from £524.8m in 2010 according to its previous financial results. A spokesman said the increase was actually in the region of 40% working from a different 2010 revenue figure of £492.6m, which does not include joint ventures included in the reported 2010 figure. The company did not provide pre-tax profit figure for 2011. In 2010 it reported a pre-tax profit of £30.3m, which was three times the amount it made in 2009. Post-tax profits in 2010 totalled £52.5m, helped by a £22.2m tax credit, while in 2009 it made a £3.7m post-tax loss. Channel 5's turnover climbed 23% to £353m and it converted an operating loss of £48.1m in 2010, to an operating profit of £26.2m in 2011. This was higher than the group's more established newspaper and magazine businesses. Express Newspapers, which includes the Daily Express and the Daily Star, made an operating profit of £8.8m, which a spokesman described as "around the same" as 2010. The magazines, of which OK! is the most well-known alongside Star and New!, produced an operating profit of £12m. The results also show that Desmond spent £28.5m on establishing the Health Lottery, which aims to donate more than £50m a year to health-related causes outside the remit of the NHS. The game launched to the public at the end of September 2011. This spending, plus increasing investment in Channel 5 and the print operations, reduced the cash on the company's balance sheet from £91.7m at 31 December 2010 to £61.3m at 31 December 2011. The Health Lottery reported turnover of £10m and a pre-tax loss of £28.5m. According to Northern & Shell, The Health Lottery has been built out to more than 36,000 retailers and has now raised more than £17m for heath-related good causes since launching in October. Charities including Dementia UK, The Alzheimer’s Society, Mencap, BTCV, The Children's Food Trust, The Carers' Trust and The Youth Sport Trust have benefited.